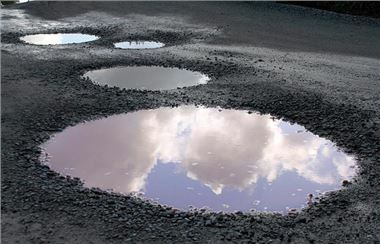 Road maintenance campaign website, www.potholes.co.uk, welcomes yesterday's announcement by the Department for Transport (DfT) that an additional £100 million is being made available for councils in England to tackle the current pothole crisis. But Warranty Direct managing director, Duncan McClure Fisher, who set up the website in 2007, said the additional cash barely scrapes the surface of the work required to bring Britain's roads up to scratch. Potholes.co.uk reports a 39 percent surge, year on year, in the number of potholes reported by road users in the first three weeks of February. Last week, the website recorded more visits than in the whole of December 2010, suggesting that the problem is only getting worse and cannot be dealt with by a one-off boost in funds. Duncan McClure Fisher said: "A shot in the arm like this is always a welcome boost for road users. But it won't eradicate the problem of potholes and, if it's spent on shoddy, temporary repairs, we'll be back to square one before we know it. "The public has a role to play too, and they can do that by reporting potholes to their council or via our website. Local authorities can't be expected to repair holes within minutes or hours of them appearing. "We believe councils should be more imaginative about how they address road maintenance. They simply can't rely on central government to bail them out - it requires efficiency and a long term approach, perhaps incorporating the public and private sectors." www.potholes.co.uk and www.fixmystreet.co.uk both probvide a means by which potholes can be reported to councils and the reports become a matter of public record. If the potholes are not then repaired within a reasonable period the council becomes liable for any damage they may cause. You should report all potholes you become aware of to www.potholes.co.uk and www.fixmystreet.co.uk . And if your car is ever damaged by a pothole you can use the websites to check if the pothole was previously reported and you have grounds to sue the council for the repairs to your car.